This superb product will clean hard surfaces beautifully without scratching. 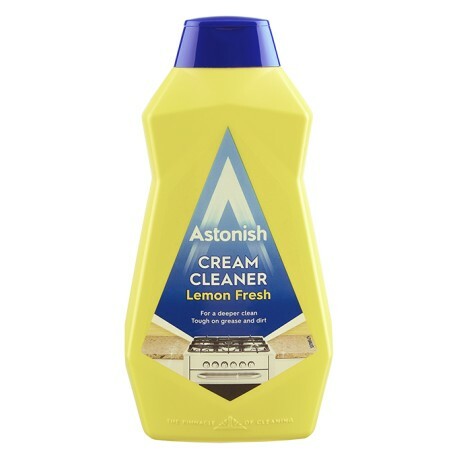 Probably the finest cream cleaner available in the top-selling category of household cleaners. No scratch formula. 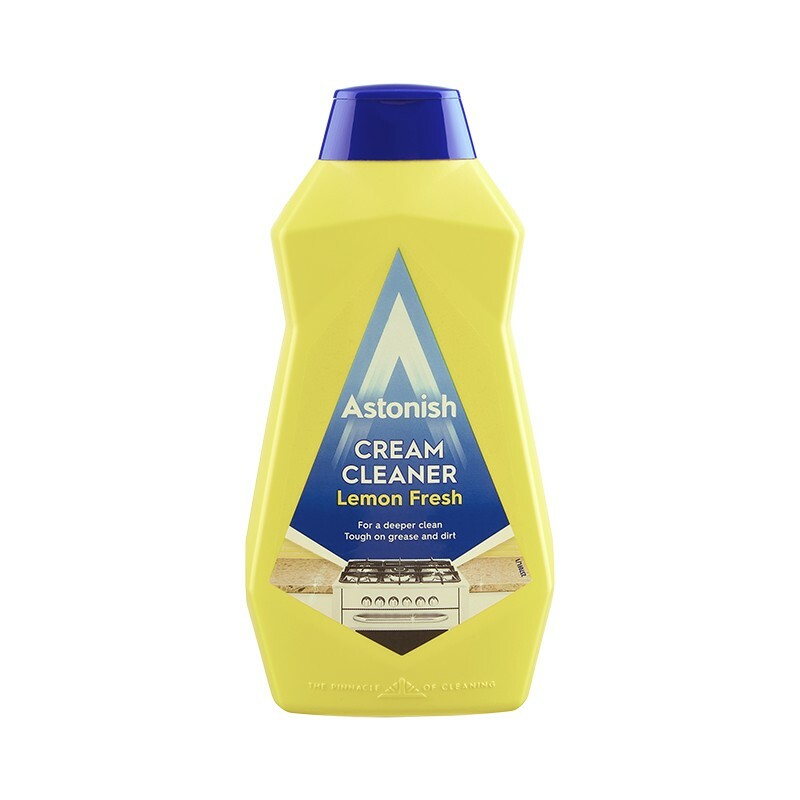 Astonish Cream Cleaner with Bleach is uniquely formulated to lift stains and ground in dirt from surfaces all around the home. Excellent for use on enamel, porcelain, stove tops, tiles, baths and kitchen surfaces. Ideal for removing mould and mildew stains. Not recommended for gold or silver plated fittings. surfaces without scratching, leaving NO powdery residue. Ideal for removing mould and mildew.